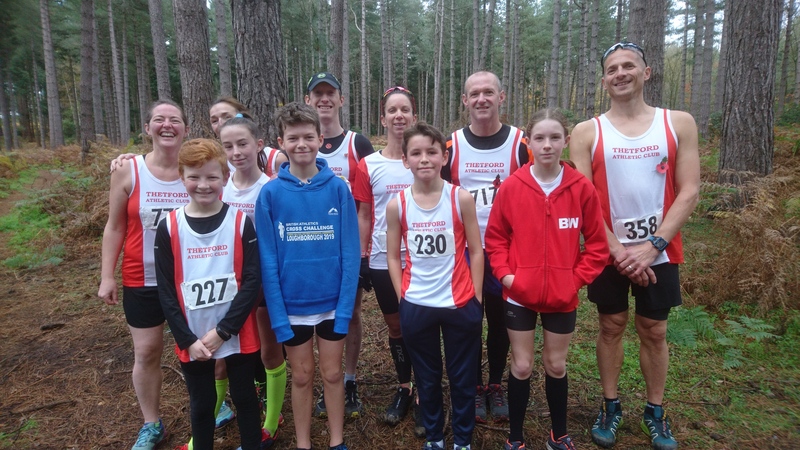 Junior and senior members of Thetford AC joined Ryston Runners for the 2nd race in the Cross Country Series. For the juniors it was a 3k forest run and Thetford were highly successful with Jake Dorbin finishing as 1st U13 boy and Abigail Clouston 2nd U15 girl. Also finishing strongly were Bethany Wilson 4th U13 girl and Callum Wing 9th U13 boy. In the U11 boys race brothers Monty and Alfie Findlay finished well in 10th and 12th place. In the Senior race it was 9k and first home for Thetford was Simon Smith in 33:48 for 1st in his age group. Karl Wright followed 34:58 (12th in age group and a course PB), Gary Malliband 37:36 (9th in age group and course PB), Charlotte Smith 40:35 (1st in age group), Stephanie Clouston 41:51 (4th in age group and course PB) and Liz Peck 44:26 (2nd in age group).